People often joke that EVERYONE has a a book in them, well it is not a far stretch (especially if you read Famous Food Friday) to assume that EVERYONE has a cookbook in them. Today we are... Cooking With Colleen McCullough. 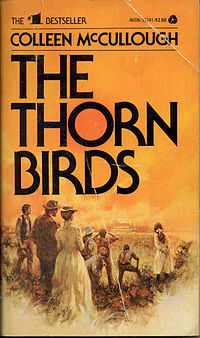 McCullough was a literary sensation in the late 1970's and 1980's after producing an rather large and rambling novel about Australia entitled: The Thorn Birds. It was ostensibly about a priest waging battle between his love of God and his love of all things female. It was all the rage and in 1983 it was turned into a rambling mini-series. I came to write about this cookbook, not because of Colleen McCullough but because of Barbara Stanwyck . 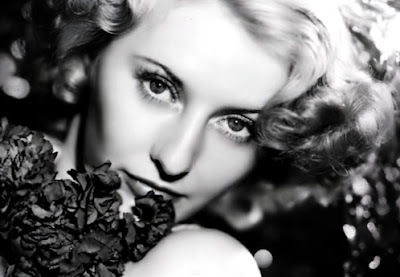 who said the actress she most wanted to be like was Barbara Stanwyck . 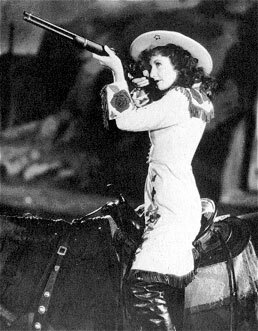 A few days later, I saw Barbara Stanwyck in Annie Oakley. Colleen McCullough set out to be a doctor, but dermatitis kept her from scrubbing in as a physician, so she turned her interests to neurophysiology. While studying, she had a professor, Jean Easthope. The pair became friends and quickly began cooking together. They proved to be an unlikely, yet interesting mix. 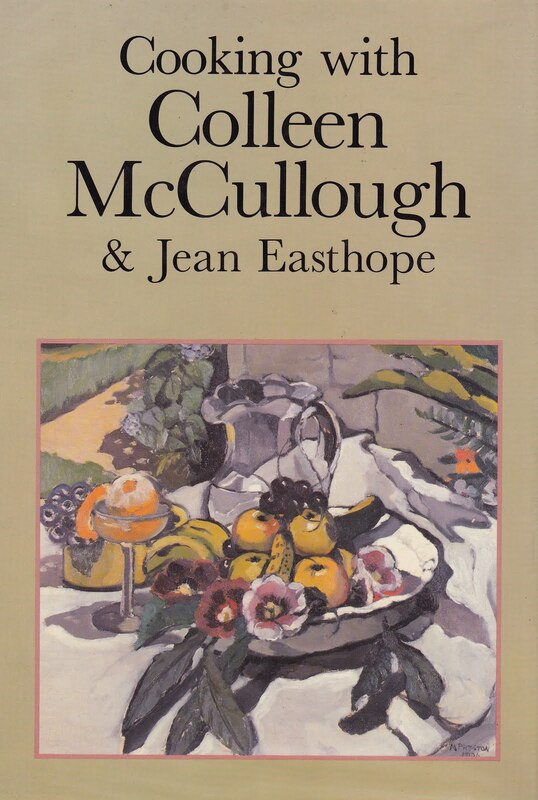 McCullough was raised in a meat-and-potatoes household while Easthope was raised by vegetarian parents. The book is filled with archival prints, drawings and photographs, including a rather lovely kangaroo hunt (unless, of course, you are the kangaroo). I was quite dismayed that the book failed to include a single kangaroo recipe. 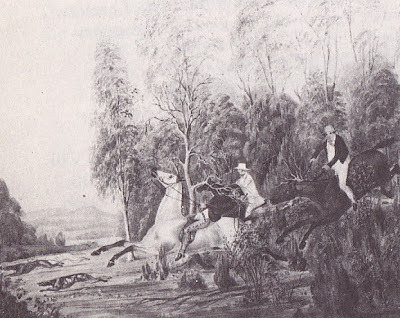 Since humans are a bit on the squeamish side and would rather eat pork than pig, venison than deer, so, an attempt was made recently to develop a "people" friendly culinary term for kangaroo. The winner is... "Australus." If you see"Australus" steak on the menu, you will no longer be in the dark. Since we had no kangaroo, we immediately went to the chocolate. Even kangaroo, sorry, Australus, would be great if just smothered it in this lovely sauce. Melt the chocolate and butter together in the top of a double boiler, stir well, and add the rum, stirring again. The joy (as well as the curse) of our new technology may well be that we never lose anything. When you snort milk out your nose in the junior high lunch room, chances are it will end up on YouTube. Forever. FOREVER. Every dumbass thing one does, things that used to be forgotten, are now immortalized for better or worse. The good news is, one no longer has to watch 8 hours of The Thorn Birds to see the naughty bit with Richard Chamberlain and Barbara Stanwyck . I loved this scene from Thorn Birds. Gosh, I remember when that movie was going to be shown on TV and I was all set to watch, but then there was this big family emergency and I never did get to see it...ever. Must go look up the DVD. Never realised Barbara Stanwyck was in it - I remember her from Big Valley - yes, I'm that old! 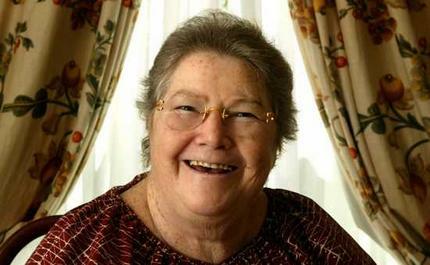 Colleen McCullough was an awesome actress, thanks for share this incredible interview.